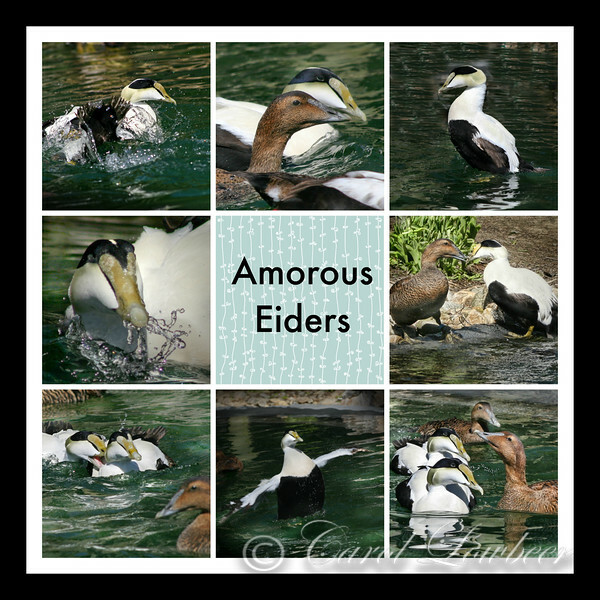 The male eiders look humorous but almost dumpy in their handsome black and white tuxedos. They watch the females while making “low roaring” sounds & the females are getting interested fast. Two Eiders approach a female and she examines them carefully. “Are you the one for me?” Another male tries to decide between two female prospects. It’s a giant free-for-all for all suddenly, with great splashings, wing risings and graceful waterdances performed for each other.